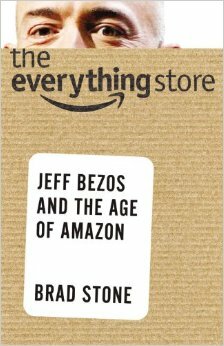 The Everything Store is a biography of Amazon and Jeff Bezos. It is written by Brad Stone. It discusses Walter Isaacson’s Steve Jobs biography and it is easy to make comparisons between the two. Both seem demanding people to work out. IN fact, Bezos more so. Life at Amazon is painted as relentless. Bezos speaks out against work-life balance and seems to work every employee into the ground. I think I have come away being put off by the idea of working for Amazon. This is an interesting contrast to Netflix. They claim they don’t care how long employees are in he office for as long as they do good work. How true that is in practice I am not sure though it is true that they do not track the amount of holiday staff take (you can take as much as you want), which suggests they do have a relaxed policy. Netflix have of course been hugely successful as well. It also makes me wonder whether you have to be a bad guy to succeed in business. Though successes such as Richard Branson would suggest there are alternatives. Bezos is a man driven to build The Everything Store. He wants every product to be available immediately for customers. This is why Amazon sometimes drifts away from selling directly (Amazon auctions, Amazon marketplace) but often comes back to fulfilled by Amazon. They want to be able to control the whole customer experience, just like Apple. Amazon itself appears in a mixed light. It is an innovative company. It did a great job of bringing together online retail. Look inside the book, search inside the book, super-saver delivery, prime, affiliates and recommendations were all developed or popularised by Amazon. It was the first to get e-books correct with the Kindle, and its purchase of Audible has helped audiobooks as well. KDP and CreateSpace allow you to publish directly onto Amazon. Not to mention Amazon Fire, Amazon Web Services (AWS), A9 and the many technology fronts Amazon has. In terms of market share, AWS is huge and probably under-appreciated on that list. Amazon’s core retail business has always been about books. Bezos has a passion for books, which probably partly explains why they have been so successful. Compare this to music where Apple dominated. Stone correctly points out that Steve Jobs loved music, whereas Bezos had no interest in it. Even when you have a giant corporation behind you, it would seem you still need to do things with passion to succeed. Bezos does embrace the same view as Jobs in disrupting your own company. I love the Jobs quote, if you don’t cannibalise your own company, somebody else will. This is exactly what Bezos wanted with the Kindle: he told his team to destroy Amazon’s core market of paper book sales. This had worked out as one of Amazon’s biggest successes. They are also a relentless competitor. Like Walmart they are willing to stomach major loses to drive competitors out of business. They don’t treat their suppliers well either. Something I experienced first hand when publishing the Leeds Restaurant Guide. Amazon give me only around 30% of the sales price, whereas Apple give me 70%. Getting an insight into Amazon’s logistics was fascinating. For example, super-saver delivery. I had lazily assumed it was that they used some kind of cheaper, slower delivery. Not necessarily so. The idea behind it is that they don’t even get it out of the warehouse until they have spare capacity. You might get lucky and they will have capacity straight away. Or you might not. There is also the complexity of delivery. How often have you bought a USB stick and it turned up in box the size of a microwave? It’s amusing for the customer (ignoring the environmental effect, which we should not). However, for the business, putting the right products into the smallest possible packaging is actually an important part of cost-saving efficiency. In some ways, Amazon could be seen as a bit of a mess. In the conclusion, Stone talks about how Amazon often has poor communication between departments and effort is also often duplicated. However, the company uses these things to their advantage. Different projects compete with each other on their own internal market, like their search routines did, with the best one surviving. Often companies are desperate to avoid duplication, but maybe it is not always that bad. This entry was posted on Thursday, January 28th, 2016 at 11:08 am and is filed under Books. You can follow any responses to this entry through the RSS 2.0 feed. Both comments and pings are currently closed.